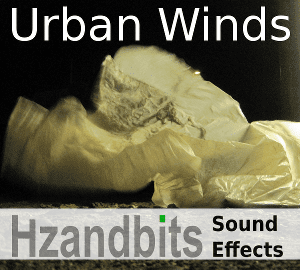 Urban Winds is 49 minutes/1,33 GB of medium and high-wind sounds in 38 separate files – recorded in 24bit/96kHz M/S stereo (decoded to X/Y stereo and mono). 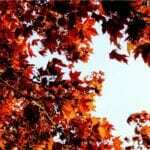 You will hear very little human activity – other than distant traffic. 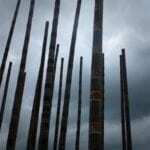 I recorded mostly at night, and in large, undisturbed areas – and on one occasion in the aftermath of a violent storm (the kind that rips the tiles off the roofs). Had a good time standing in the relative safety of my doorway, recording stuff getting blasted down the street! Gear Used: Sennheiser MKH 60/30 microphones in M/S setup, SQN 4S Series II mixer, Sony PCM M10 recorder.